A graduate from Viet Nam Dance College, Ms Nhung a competitive dance student has received many dance prizes and awards including winner of Contemporary Dance Buoc Nhay Xi Tin Viet Nam 2008, Best Dance of Dancing Awards Season 3 HCMC and Top 4 finalist of So You Think You Can Dance Vietnam Season 1. In 2009, Ms Nhung began her professional dance career with UDG as a solo dancer and also instructing Ballet and Contemporary. After competing on the show in season 1, Ms Nhung was a choreographer’s assistant for So You Think You Can Dance Vietnam. 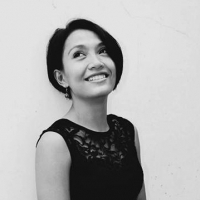 Since 2013, Ms Nhung joined the Dancenter Teachers Team firstly as a teaching assistant for Ballet, Jazz and Contemporary and since 2015 as a teacher.